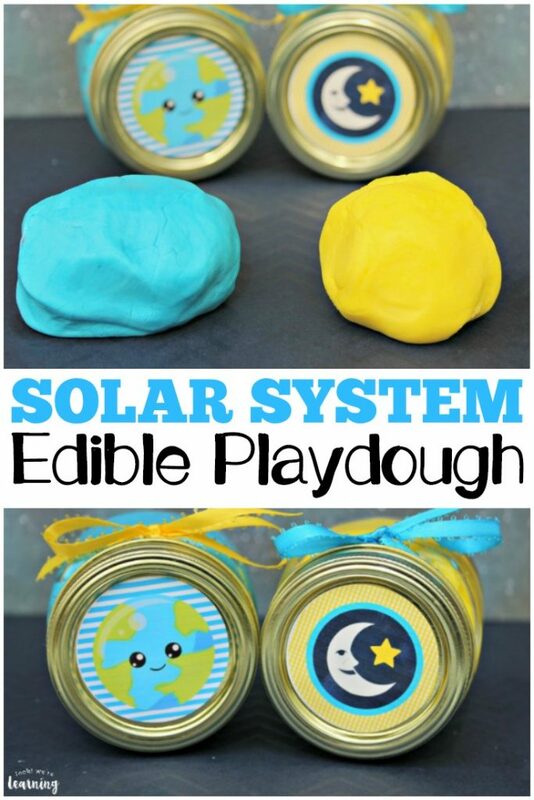 DIY Solar System Edible Playdough - Look! We're Learning! 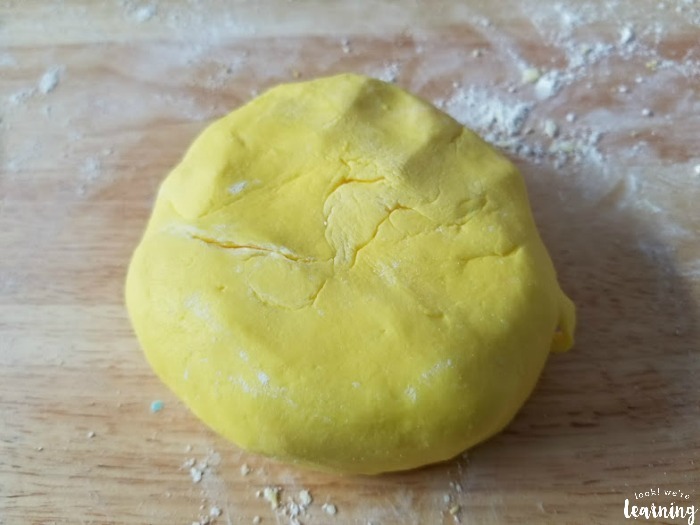 Have you ever tried making your own playdough? We’ve done it several times and it’s always a big hit with our kids. But, if you really want to take it to the next level, edible playdough is where it’s at. 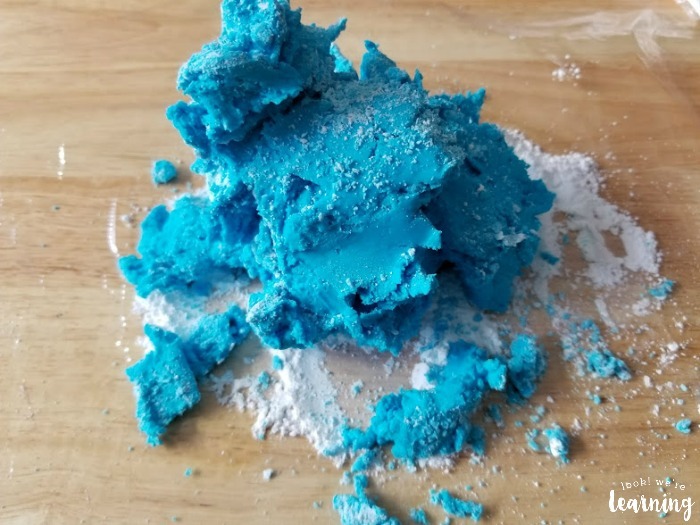 Remember always thinking that playdough looked good and then being disappointed when you tried to taste it (whenever your mom wasn’t looking, that is)? 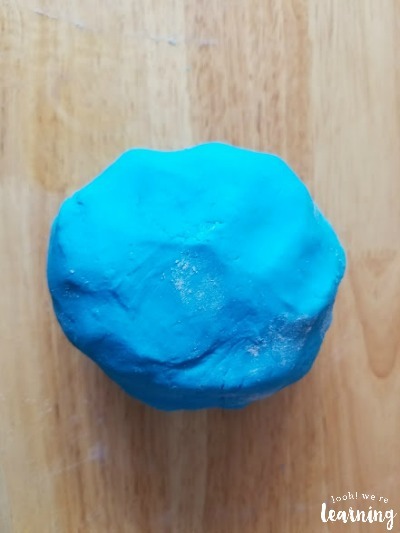 Edible playdough actually does taste amazing. 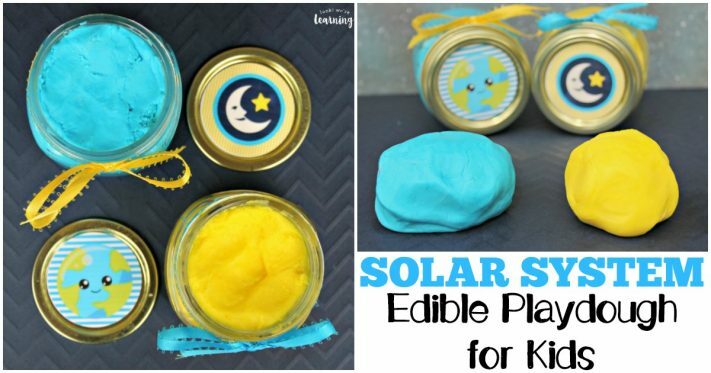 So for a fun astronomy sensory play activity, I thought my kids would love some DIY Solar System Edible Playdough! This is so simple and fun to make! And it’s a sweet treat for the kids to enjoy too. (Just don’t let them eat too much or they’ll be bouncing off the ceiling.) Read on to get the recipe for yourself! Want more fun sensory play? Don’t miss our simple DIY flubber kids can make! 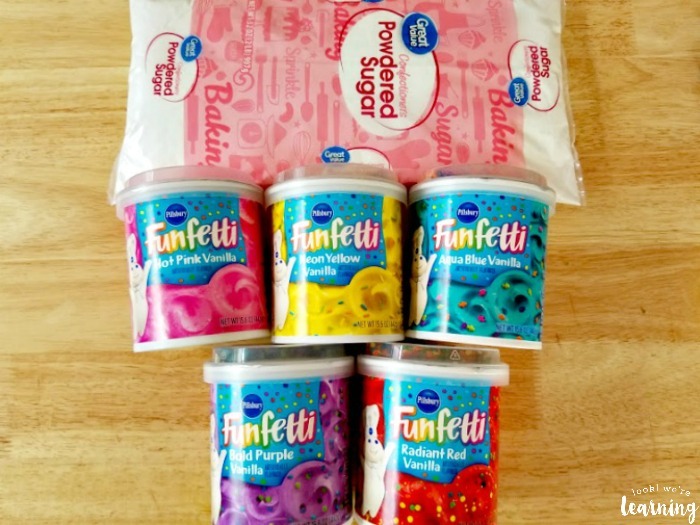 Basically, you’re going to make colored sugar frosting. Which is why the kids shouldn’t eat too much, you know? You can use any color of frosting you like, but the Funfetti brand has some awesome brightly colored versions that will give you a lovely color for each planet. 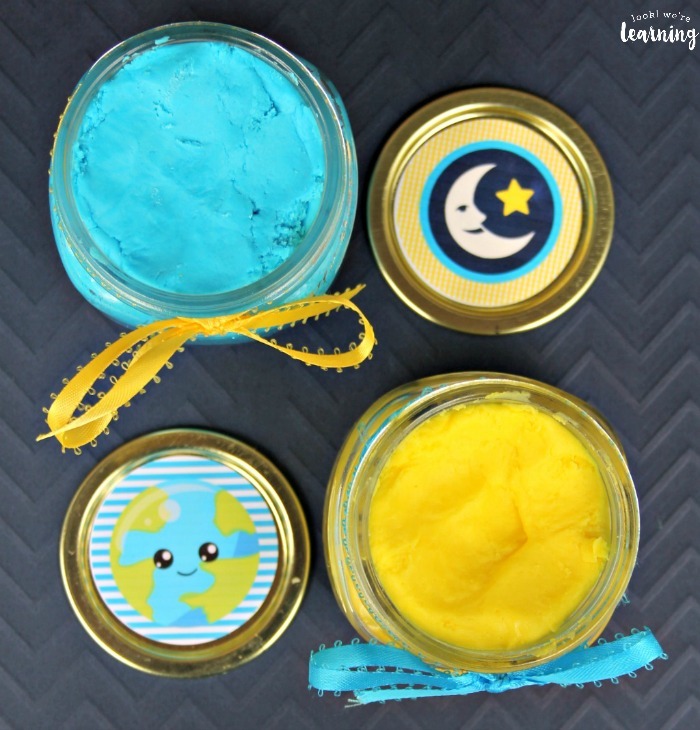 To make Earth and moon playdough, we went with blue frosting (for Earth) and yellow frosting (for the moon). Mix the two together to get the right consistency. You want it squishy, but still kind of firm. 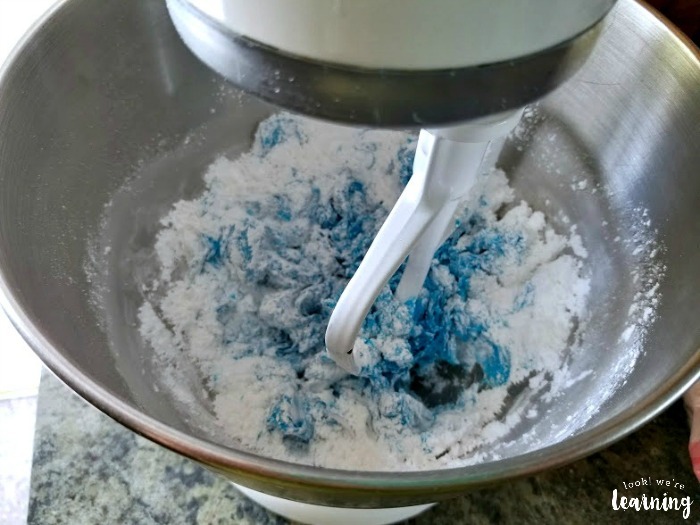 Turn your mixture onto a wooden surface. Let the kids mix it up with their little fingers! This is great gross motor skill practice, by the way. 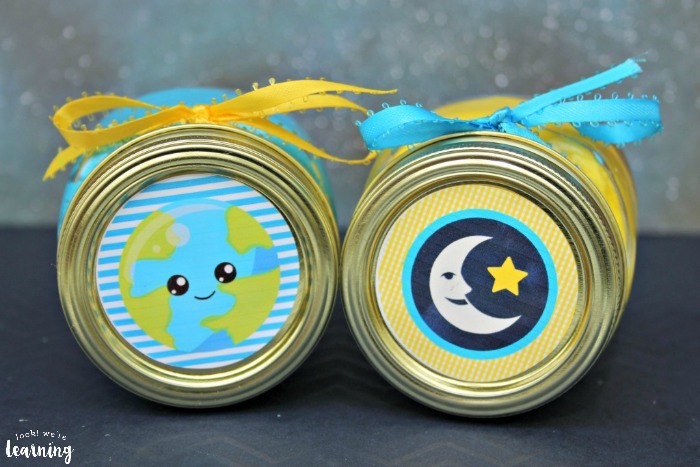 All you need now are two empty jars with lids (baby food jars are perfect), colored ribbon, and some cute solar system stickers! 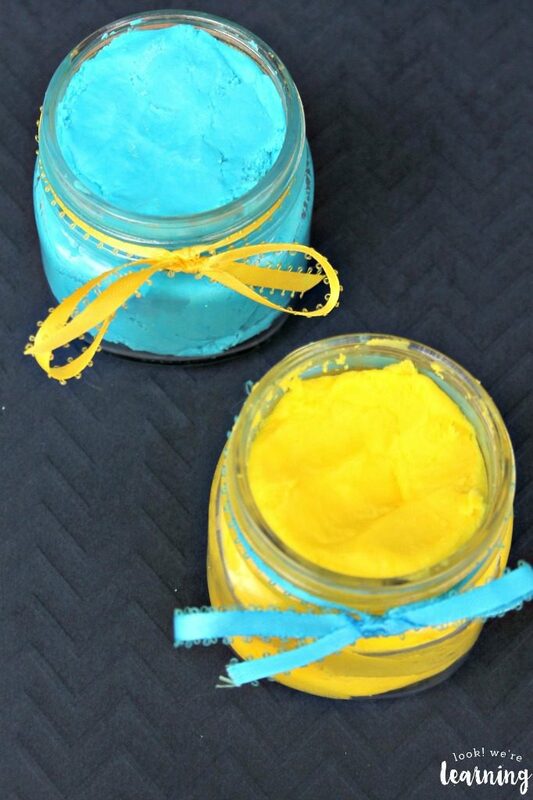 Fill each jar with one color of the playdough. These particular stickers came from a brick-and-mortar store, but if you want to get something solar system-themed online, try these solar system planet stickers. I actually think those are even better, because you can choose from specific planets with the planet names. And with the different frosting colors, you could make a batch for every planet in the solar system! 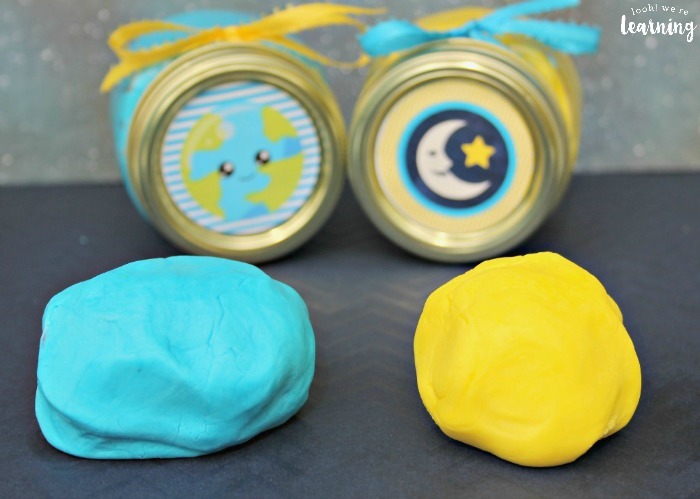 These would make awesome party favors, but your kids will also love making up their own solar system edible playdough to play with (and taste!). Click over to page 2 for the full recipe!